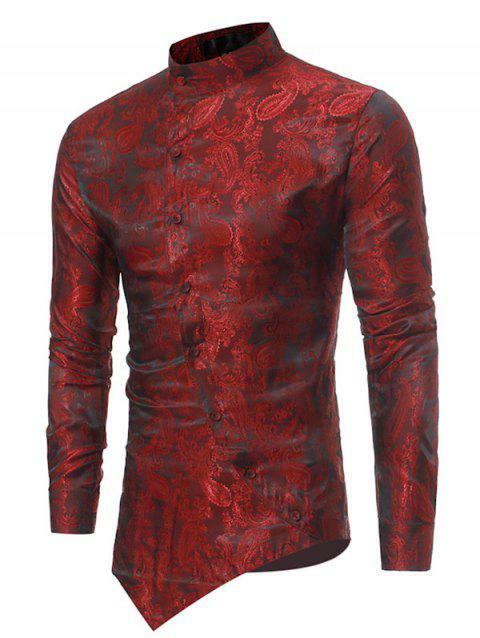 This brocade shirt crafted from polyester features the paisley design, mandarin collar, slant opening with frog and fitted silhouette showing the Chinese style. Irregular hemline adds the sense of individuality. Item arrived in good time. Product is as expected. Q:If i want this item via get it free program what exactly is a qualified purchase? We are so sorry that there is not other size for the item. Q:Do you carry these shirts in an extra large? the current sizes are too small. If not will you ever have them in larger sizes. I would really like to purchase several of them in different colors. We are sorry to tell this product is not available in size extra large anymore. Please consider other items instead.